Every year, work-related incidents such as construction accidents, falls, and electrocutions cause the deaths of thousands of workers. According to an annual report by the American Federation of Labor and Congress of Industrial Organizations (AFL-CIO), approximately 13 Illinois workers were killed on the job every day in 2010. This number has been on the rise since 2004. Further data in 2010 reported over 3.8 million workers experienced work-related illness and injuries across all industries in the same year. When a death occurs because of a workplace accident, the surviving family members may face financial concerns that include how to pay expensive medical bills, deal with funeral costs, and handle the loss of the wage earner’s salary. Workers’ compensation is provided to most employees who suffer an injury or contract a disease while on the job, and it also provides death benefits. This system of benefits may be your only option to recover damages for a work-related illness or injury because often you can’t sue your employee in civil court. Instead, you are required to file a claim through the compensation agency. Workers’ compensation also provides death benefits to surviving family members should your loved one die in a work-related incident. Dependents will receive a burial benefit. The survivor or person paying for the burial of the deceased will receive $8,000. Dependents receive a two-thirds benefit. The survivor benefit is calculated based on the deceased’s weekly wage during the year prior to the death. 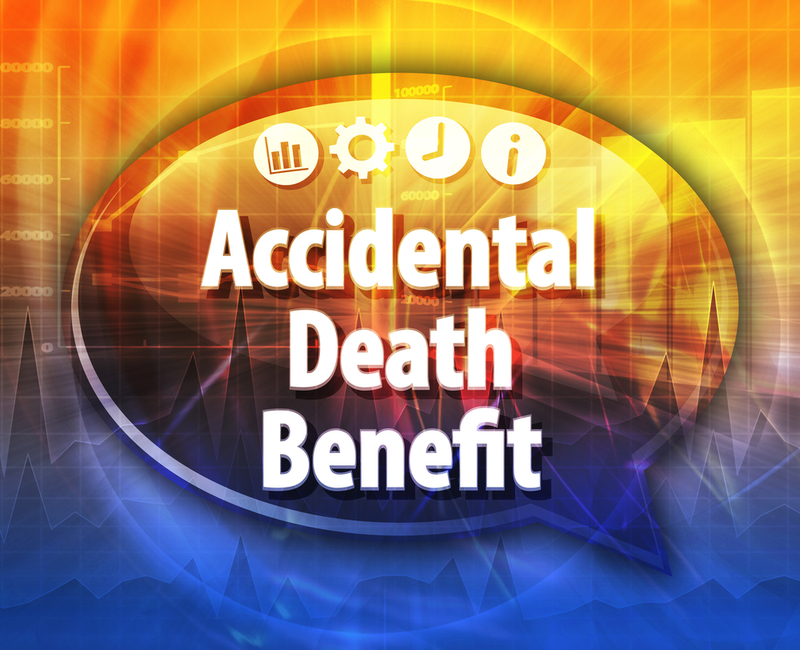 This benefit is two-thirds of the deceased employee’s gross average weekly wage. Dependents receive benefits based on a hierarchy. The survivor benefits are paid according to a hierarchy. A spouse and young children are the primary beneficiaries and first in line to receive this financial support. If there are no primary dependents, it’s possible for dependent parents to receive the benefits. If there are no dependent parents, anyone who was 50 percent dependent on the deceased may be paid benefits. Dependents continue to receive benefits after the spouse remarries. If the widow of the deceased worker decides to remarry, survivor benefits will continue if there are eligible children at the time of the marriage. If there are no dependent children when the spouse remarries, she will be paid a final lump sum that equals two years of compensation. After that, all future benefits end. Dependents receive cost-of-living increases. If the case was closed by a decision, dependents will receive cost-of-living adjustments. This amount will be paid by the Commission’s Rate Adjustment Fund the second year after the benefits begin. The payments are made monthly and reflect the “increase in the statewide average weekly wage” during the prior year. The process involved in obtaining survivor benefits can be complicated, and the rules governing payments aren’t always straightforward. Some benefits laws may exclude or include certain individuals based on specific stipulations. For example, the benefits for a child may be extended to the age of 25 if the child decides to stay in college. And work-related accidents may not generally include auto accidents, but they may be covered by benefit laws for workers’ compensation. Consulting an attorney if your family’s wage earner died in a job-related accident is important to ensure you receive the maximum payout through the workers’ compensation system. If you are a dependent of a wage earner who died in a work-related accident, contact the skilled workers' compensation lawyers at Tapella & Eberspacher Law. We can provide legal advice about workers’ compensation death benefits and help you file an application. Call us at 855-522-5291 for a free consultation.